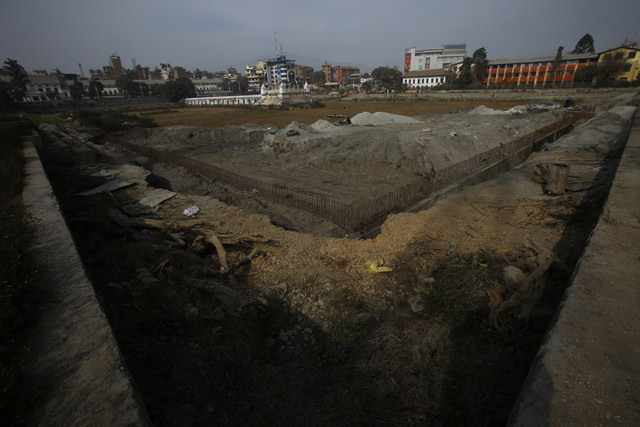 KMC is currently building a concrete wall and an amphitheatre on the south side of Rani Pokhari. Heritage experts say this will decrease the size of the pond by 20%. 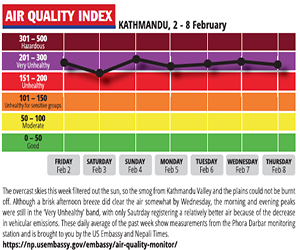 It was 11.30 one morning this week as people started filing into the sixth-floor office of Kathmandu Metropolitan City (KMC) in Bagh Darbar. The new mayor had not arrived yet, and the waiting crowd soon overflowed into the corridors. Among them was conservation advocate Alok Tuladhar and heritage architect Sudarsan Tiwari, with a dozen or so young activists. 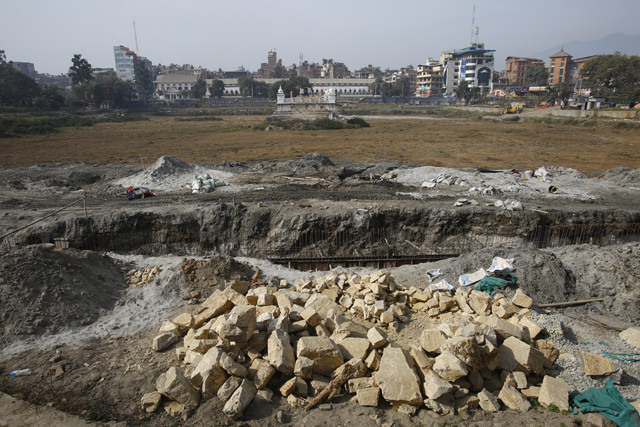 The group wanted to lodge a protest about the much-delayed and controversial reconstruction of the historic Rani Pokhari, where a contractor had started building a concrete wall. “I don’t know if it is worthwhile meeting him, but last time we got some results,” says Tuladhar, referring to a citizen-led protest to stop the use of cement in the reconstruction of Bagopaleswor Temple in the middle of Rani Pokhari last year. 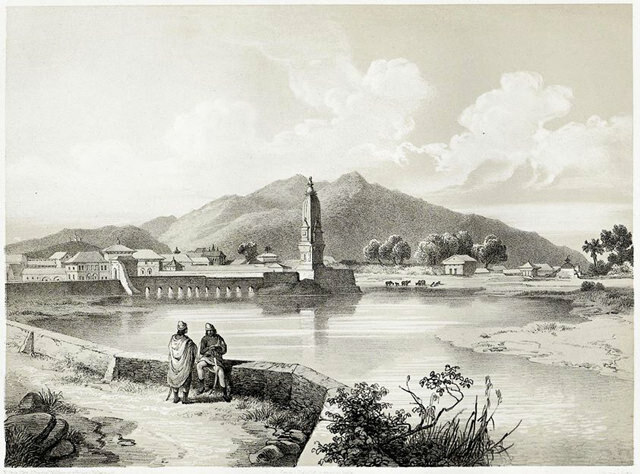 An image of Rani Pokhari from the German publication “Die Reise Seiner Königlichen Hoheit des Prinzen Waldemar von Preußen nach Indien in den Jahren 1844 bis 1846” (The journey of His Royal Highness Prince Waldemar of Prussia to India: in the years 1844 to 1846). It was on the first anniversary of the earthquake a year ago that President Bidya Bhandari launched the National Reconstruction Campaign from Rani Pokhari, amidst much fanfare. The KMC started rebuilding the temple in the middle of the pond but had to stop after a public outcry over the use of cement pillars. The Department of Archaeology has since taken responsibility for the temple, while the KMC is responsible for the pond and its periphery. While the activists waited for the mayor, a kilometre away workers were busy pouring concrete into the perimeter of the dry pond. The activists wanted to exercise their right to information to inspect the designs and to push for the temple and pond to be restored using the original design, traditional technology and materials. “One year ago, we had protested the use of concrete and other modern materials in the reconstruction of the Balgopaleshwor temple and it was eventually stopped. But only the temple was taken as a heritage site and not the pond,” says Tiwari. 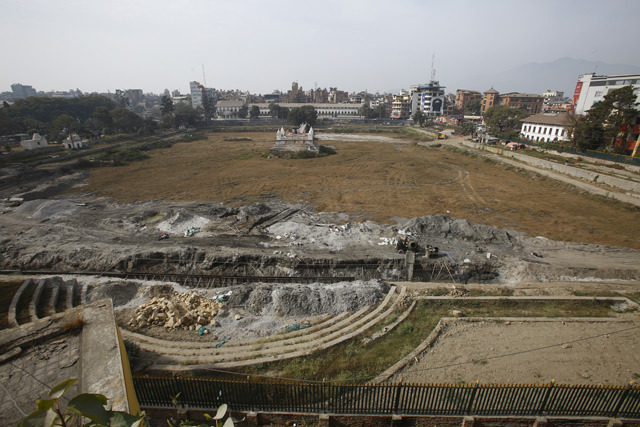 The KMC says it wants to “beautify and modernise” Rani Pokhari, complete with a son et lumière fountain, a park and coffee shop. This violates Nepal’s Ancient Monument Preservation Act which says historic sites over 100 years old have to be preserved in their original form. The KMC has already scraped off the impervious black clay soil that prevented the water from seeping out of the pond, and is building a concrete retaining wall. The first phase involves beautification and building toilets: the pond will be filled in the second phase. 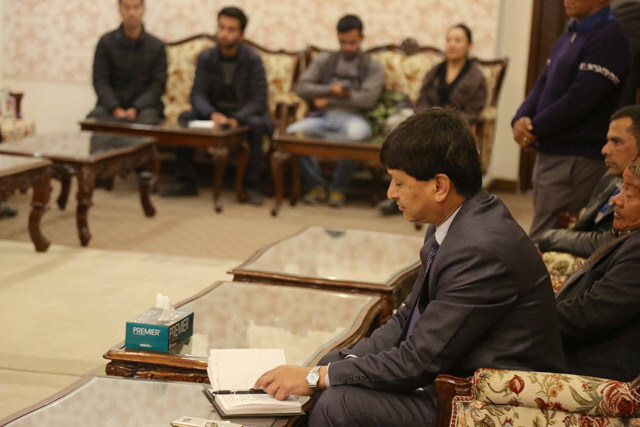 The activists finally locate the mayor at the City Hall and two hours later, Mayor Bidya Sundar Shakya finally meets them. 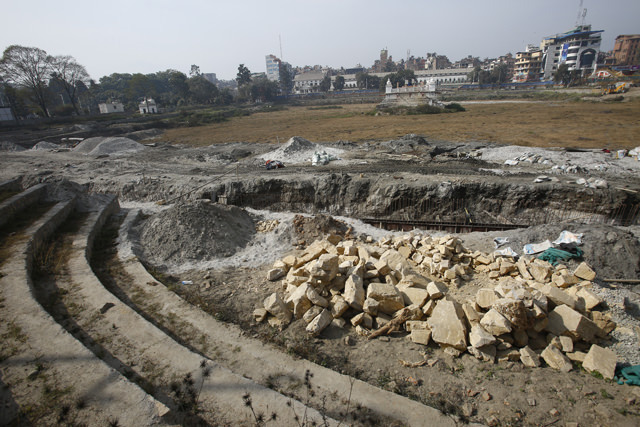 The activists lay out their case, saying KMC is not showing any commitment to respect the Valley’s cultural heritage, and Rani Pokhari is just the latest example. The mayor’s plan is to turn religious sites into tourism destinations by modernising the facilities. He assures the activists that he will take up the case with locals and experts. 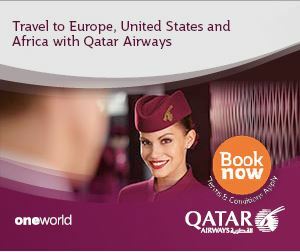 I wish we were doing more to help the poor and less privileged. I wish I could tell my children that the future is bright. A former Maoist commander assesses the war so far, and predicts future rebel strategy. "Cash or plastic?" may have a new meaning in Nepal soon. How should shareholders realy behave? How should markets be regulated? Will we ever know?